Africa: Nominees Revealed for 2018 Africa Magic Viewers’ Choice Awards – Royal Times of Nigeria. 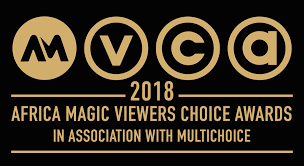 Several actors including Toyin Abraham and Odunlade Adekola made their debut on the nominees list for the 2018 Africa Magic Viewers Choice Award (AMVCA). The nominations were announced at the weekend in a televised broadcast on Africa Magic channels by popular comedian Bovi and Ghanian Actress and TV Host Joseyln Dumas. The nominees also include Omotola Jalade-Ekeinde, Falz, Dakore Akande among others. This year’s AMVCA has Moses Iwang’s Alter Ego leading the park with eight nominations, in notable categories like Best Director and Best Overall Movie. This year, a total of 135 nominees are nominated in 27 categories of the awards. A statement from the organiser said voting for the different categories opens on 8:30 pm on Saturday, 30 June 2018 and closes Sunday, 24 August 2018. The AMVCA, which has rewarded excellence in TV and film for five years since 2013, is scheduled to hold on September 1, 2018.